The Commish: Mystery and Suspense on Television. 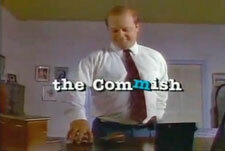 The Commish aired on ABC from September 1991 through January 1996 and included 92 episodes over 5 seasons. 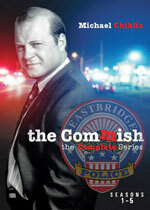 The series stars Michael Chiklis as Tony Scali, the police commissioner of a (fictional) small town, whose easy-going manner and clever intellect are much more useful weaspons than brute force in his fight against crime. Seasons 1 and 2 were previously released separately on DVD and may still be available.